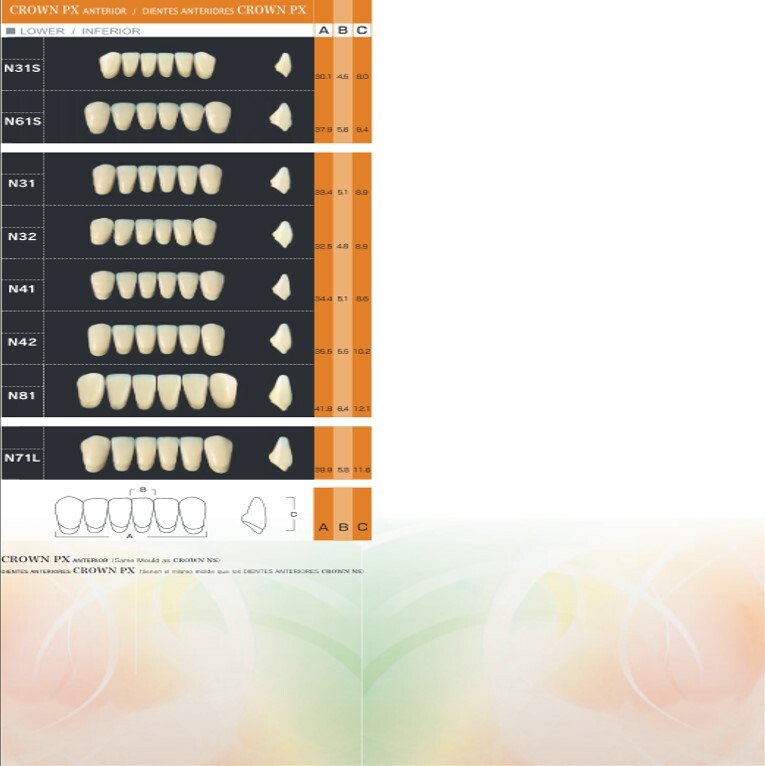 The development of fluro methacrylate by Yamahachi Dental Mfg Co. represents a significant advancement in bonding strength, hardness and aesthetics for PX Composite Teeth. 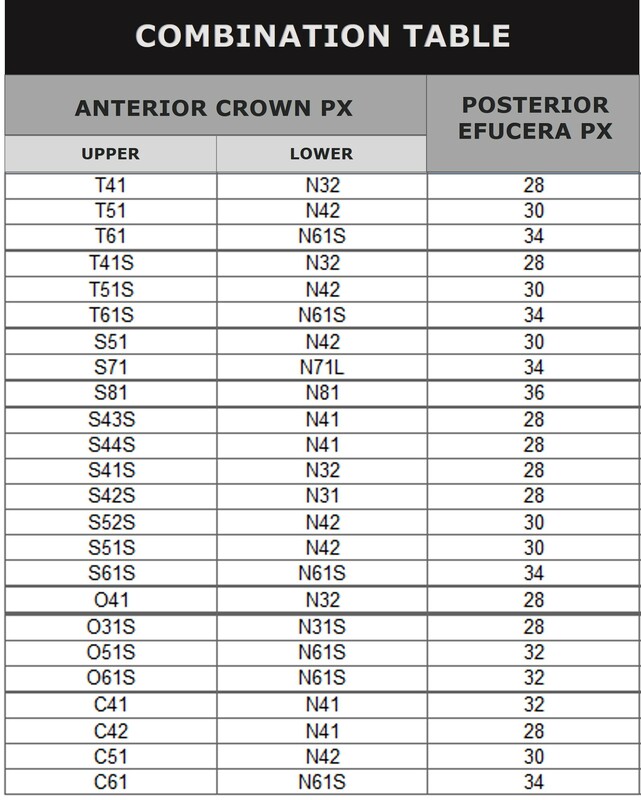 Crown PX Anterior are available in 24 upper and 8 lower anterior moulds. 16 Vita™ Shades plus a bleached shade. 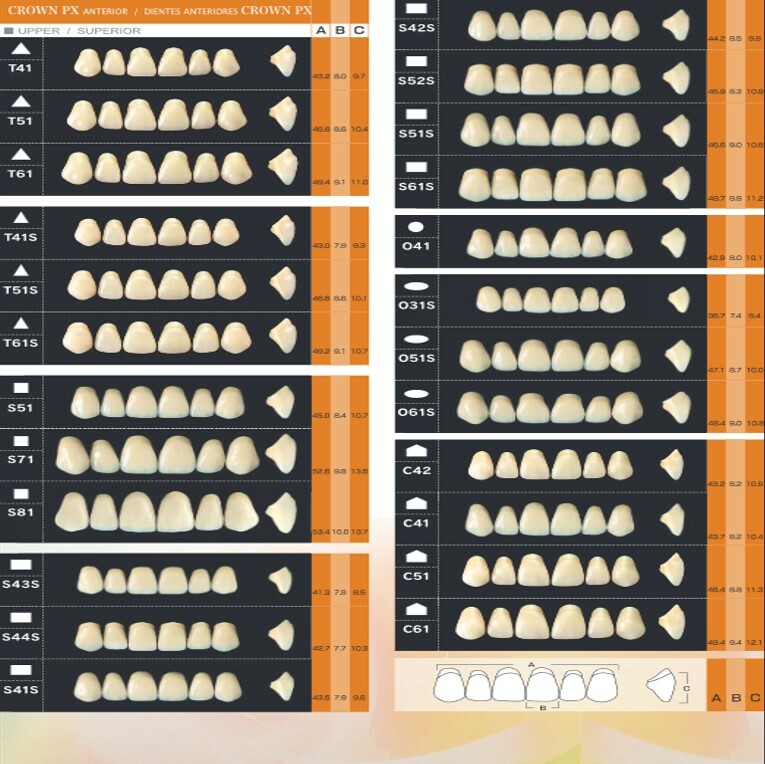 Soluut PX Anterior are available in 30 upper and 8 lower anterior moulds. 16 Vita™ Shades plus a bleached shade. 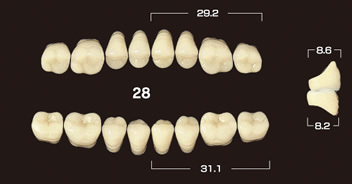 The anatomical morph of natural teeth is the foundation for the masticating surface morph, therefore a wide range of practical applications of the facet are possible. Grinding for adjustment is minimized. Arrangements, particular to the patient’s condition, can be performed. 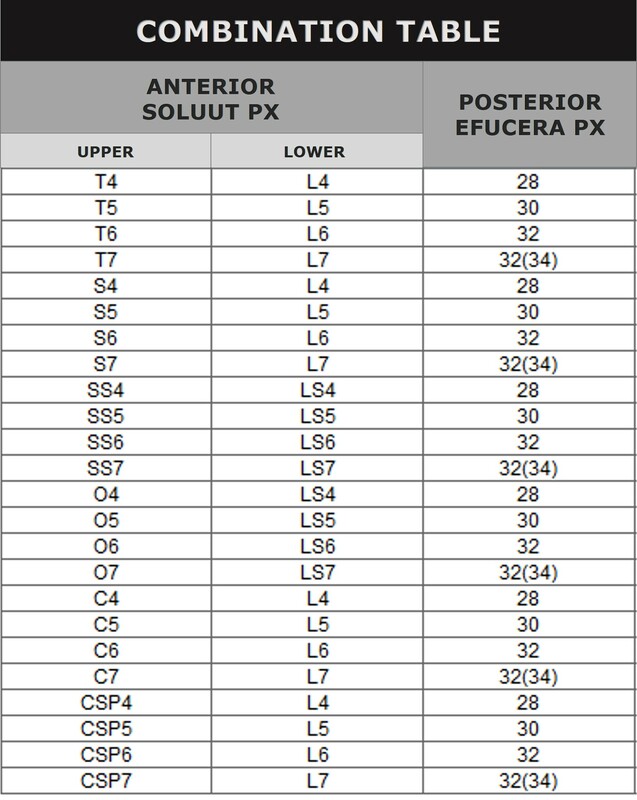 Efucera PX Posterior are available in 5 upper and 5 lower anterior moulds. 16 Vita™ Shades plus a bleached shade.